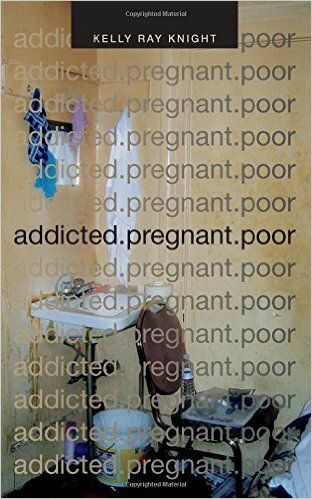 addicted.pregnant.poor is the sort of ethnography you start reading and don’t put down again until it’s finished. From its opening pages—where Knight recounts the story of trying to get into the hotel room of Ramona, her extremely high, heavily pregnant and possibly comatose informant—to the last, this is a gripping book that aims to understand what forms of life are possible for poor, pregnant addicts living in daily rent hotels in the Mission district of San Francisco. Not since Lisa Maher’s Sexed Work have I read a book that so intimately, sympathetically but unflinchingly portrays the intersections between gender, poverty and drugs. Given that Knight is dealing with one of the most stigmatized and demonized of all populations: pregnant women who ‘harm’ their ‘innocent unborn babies’ through the ingestion of chemistry-altering substances, I would imagine that there was a strong temptation to sanitize the content. However, she resists such tendencies, painting instead a nuanced portrait that resists the ‘victim/perpetrator’ dichotomy characterizing mainstream media and policy discourse on addicted pregnancy (the mutually contradictory identities women are expected to inhabit as both ‘innocent victims’ and ‘responsible perpetrators’ are intensively discussed). The result is an honest and often harrowing account of women who have quite literally fallen through the cracks. Knight presents no easy answers for how they got there or how they might escape the cycle of poverty, addiction and sexual exploitation, although gentrification lurks as a kind of background specter and she is attentive to the ways in which the overlapping and conflicting economies of rich and poor are “reshaping the US urban map and creating new challenges for civil society, urban development, and urban health” (p. 29). But if there’s a villain in this story it’s the daily rent hotels themselves. As Knight illustrates, although there are multiple temporalities that shape pregnant addicts’ lives, the most immediate is the reset that occurs every 24 hours. In what amounts to a sort of hellish version of Groundhog Day (the movie, not the holiday), each day is spent hustling for the next day’s rent: come 11am, women better be able to cough up their daily $45-60 dollars to hotel management or they risk ending up on the streets. Management also collect fees from the men who seek the sexual services of the women, effectively operating as informal brothels. Calculated on a monthly basis, the fees women pay are exorbitant: a bug and rat-infested room containing nothing more than a mattress and a sink works out to upwards of $1400 a month—not that women ever get to stay for a month, because every 21 days they are illegally evicted from their rooms so that they can’t claim tenancy rights. So they move from room to room and hotel to hotel, with incarceration often presenting the only available respite from the cycle. As Knight asks, “What does this say about the vital politics that surround questions of viability for addicted, pregnant women and their babies, when incarceration becomes ‘opportunity’?” (p. 201). Yet even here, Knight resists easy categorizations. The managers of the hotels—many of whom are exploited themselves by the owners of the establishments—are not treated as merciless predators, but as people trying to meet the demands of an unenviable job. Indeed, one consistent feature of the book is her unwillingness to paint with broad brushstrokes or place bulls-eyes on easy targets. The casual inhumanity of the systems designed to exploit and penalize pregnant addicts, along with those aiming to ‘support’ them (but only in very specific contexts and in ways that often make it all too clear that the fetus rather than the woman is the object of care), is evident in spades but there are flashes of humanity throughout: caring case workers who go ‘above and beyond’, sympathetic hotel managers willing to hold women’s goods for them when they fail to make rent, law enforcement officers who bend the rules. The resultant picture is of a kind of endemic helplessness. Virtually everyone, it seems, knows that ‘the system’ is flawed: from the women who are forced to inhabit it to the case workers, health workers and ‘neurocrats’ (a term Knight introduces to describe those individuals who amass the evidentiary documentation that allows women to claim social and disability benefits) who attend to them. Yet, they don’t see any way out; instead, they do what we all do in such circumstances: they develop workarounds. Such strategies are intimately familiar to the women who form the heart of the book, who are often incisive and insightful narrators of their own lives. These aren’t ignorant cultural ‘dopes’ (in both senses of the word) but women acutely—often painfully—aware of the failures of ‘the system’ and of their own lives. Knight worked in public health for a number of years before becoming an anthropologist and it shows throughout the book. I mean that in a positive rather than pejorative way because this knowledge and experience gets drawn on to contextualize and add depth to the ethnographic findings. The result is a distinctively historicized account—one that that spans well over decade in terms of its scope, although the formal fieldwork itself occurred over a four-year period. For example, a particularly fascinating aspect of the book is Knight’s examination of the increase in diagnoses of post-traumatic stress disorder and especially bipolar disorder (something she witnessed firsthand as she transitioned from epidemiological to ethnographic research). In a masterful analysis, she maps their connections with access to benefits and changing conceptions of ‘deserving’ recipients of welfare, as well as transformations in understandings of addiction and the rise of pharmaceutical ‘fixes’ for these conditions. This background also shows in her analysis of the ways in which epidemiological research becomes tied to the local drug economy, with such studies forming an important source of income for many women, who quickly learn how to perform to their audience: “just answer the questions yes” Lexi coaches her boyfriend Pano (p. 193), who has spent their rent money on crack and needs to successfully enroll in a research study to make up the shortfall. It’s also evident in her discussion of the ways in which epidemiological measures produce their object and the violence of counting in terms of its effects on women’s lives. But it’s not just epidemiologists singled out for attention. Well aware of the voyeuristic (and vulturistic) dimension of ethnographic fieldwork, Knight discusses at length the ethical quandaries that arise in conducting research in this setting. Through the fieldnotes interspersed throughout her account, she also gives the reader a window into what she was experiencing in the moment—her care and her empathy, yes, but also her frustration and occasional anger and despondency. Initially I wasn’t sure what to think of this strategy—especially given that fieldnotes are visually demarcated from the rest of the text, but I came to appreciate it more as the book progressed. While in some ways the fieldnotes are about authorizing her analysis, they also allow the reader to see things as she was experiencing them, rather than just her post-hoc interpretations. Indeed, from a pedagogical standpoint I could see this being a very valuable book in, say, a methods course, as well as the more obvious contenders (namely, courses on medical anthropology and addiction). In sum, if you have an interest in addiction or gender, or just engaging ethnography in general, this book is well worth reading. Bell K. Kelly Ray Knight’s addicted.pregnant.poor. Somatosphere. 2016. Available at: http://somatosphere.net/2016/kelly-ray-knights-addicted-pregnant-poor.html/. Accessed April 20, 2019. Bell, Kirsten. 2016. Kelly Ray Knight’s addicted.pregnant.poor. Somatosphere. http://somatosphere.net/2016/kelly-ray-knights-addicted-pregnant-poor.html/ (accessed April 20, 2019).